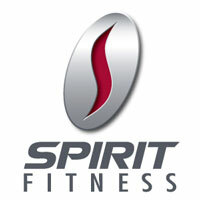 Cardio - Sport and Fitness Inc. 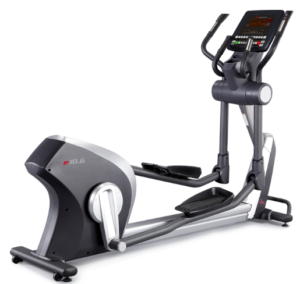 Check out our best-in-class Cardio equipment including hot, new arrivals + fan favorites like Treadmills, Ellipticals, and Group Cycles. 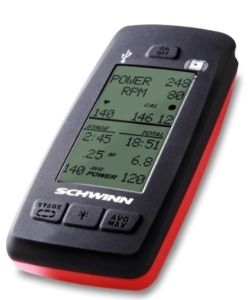 We offer many different brands, models, and options, contact us today for pricing. Click here to download our digital catalog. 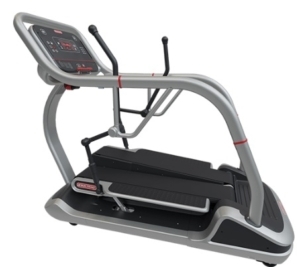 In today’s market, there are many options for cardiovascular machines including: treadmills, stair mills, bikes, cross trainers, ellipticals, incline trainers, high intensity interval trainers, and spinning cycles. 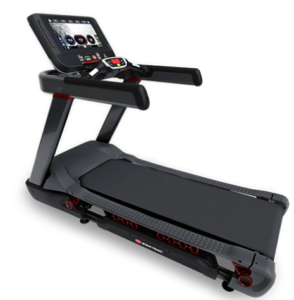 In addition, there are numerous console and technology options to deliver the fitness products your members are looking for. 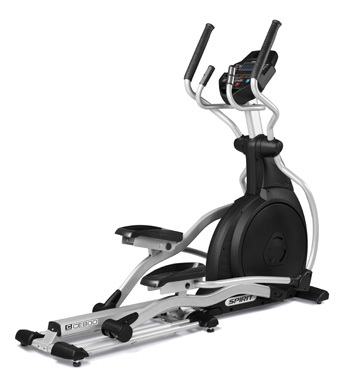 Sport & Fitness can help you determine the best cardiovascular machines for your facility. 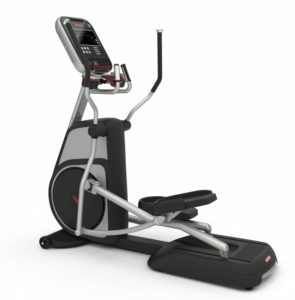 Which machines will help your clients frequent the fitness center more? 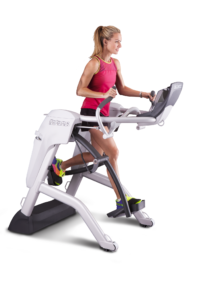 Which machines promote health benefits while minimizing the risk of injury? 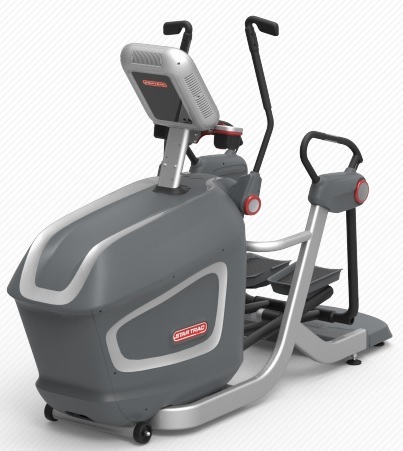 Which machines will deliver the amenities your members want and fit your budget? We are here to help. Our fitness experts are available to answer your questions and meet your business goals. 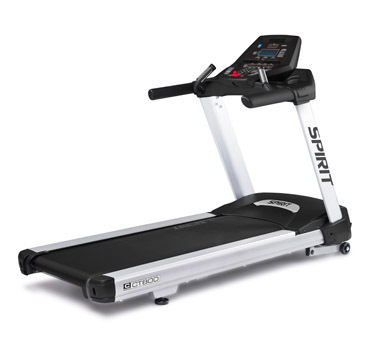 We carry some of the top cardio brands in the business including STAR TRAC, Stairmaster, Schwinn bikes, Octane, Spirit, WaterRower, and Freemotion. 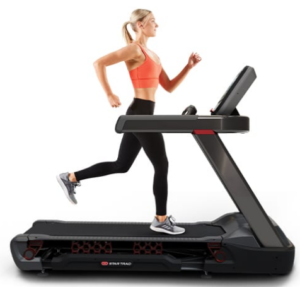 When designing our new 10 Series treadmill , Star Trac started with the most solid foundation you could have – more than 20 years of treadmill superiority. And while most would have been content in making subtle improvements to an already proven design, we set out to create the ultimate marriage of user experience, benefits, desires and features ever put under foot. The result is nothing short of impressive. 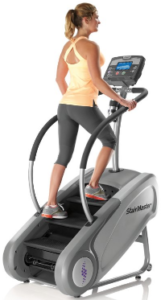 The TreadClimber® and Trail Hiker by Star Trac redefines traditional cardio workouts. 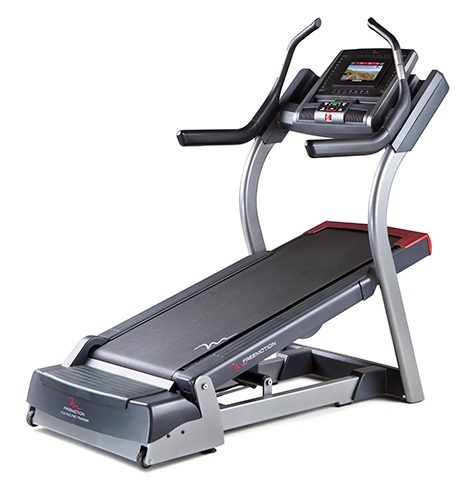 This intuitive machine uses dual ramping decks that provide an incline to flat step pattern to capture the benefits of a Treadmill, Elliptical and Stepper. 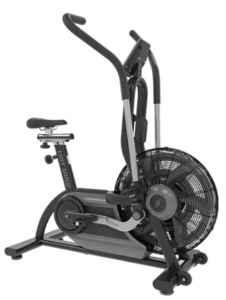 With adjustable personal fans, users don’t even realize they are burning twice the calories. Easy and comfortable. 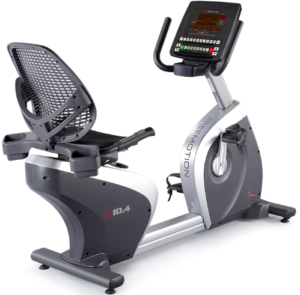 How do you improve on an already great recumbent bike experience? You make it as comfortable as a great chair. 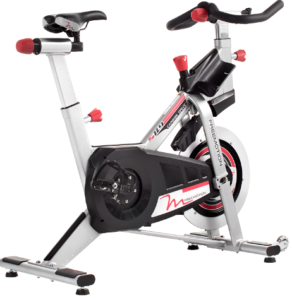 You start by making sure it features the same Morse Taper bottom bracket and pedal system that is unique to Star Trac bikes. That’s exactly what we did. 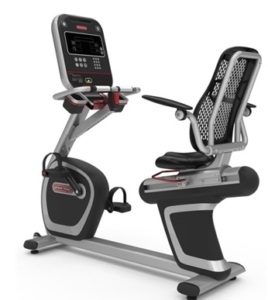 Then, we kept going with a modern iconic design offering the industry’s most comfortable back rest, a walk-through frame design, heart rate bar and adjustable reading station, dual-platform pedals and Star Trac’s signature personal fans. 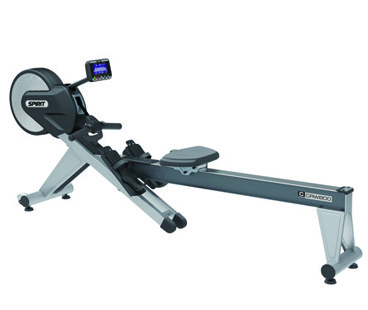 The result– a recumbent bike that’s the coolest looking and feeling ride on the floor. 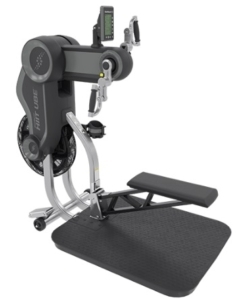 RATED AS ONE OF THE TOP THREE MACHINES TO USE IN THE GYM! 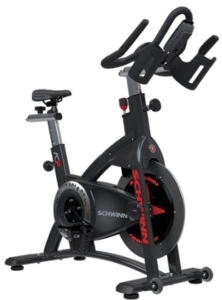 A gym standard that looks, feels and rides like anything but one. 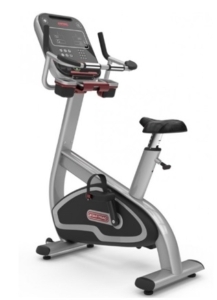 Take a classic, reliable standby category and give it a healthy dose of reliability, style and energy – that’s what you’ll find with each and every one of our upright bikes. 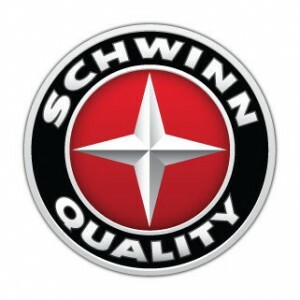 We like to think of it as one machine that actually does everything well. 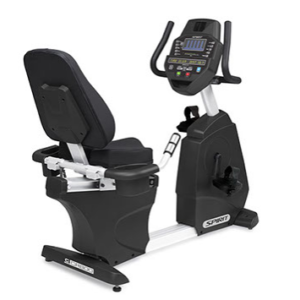 Elliptical training has become second only to treadmill training in facilities across the globe and it has become one of the most important cardio categories in the eyes of many clients. 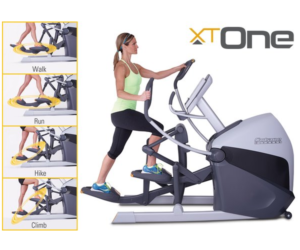 Finding the right motion, creating user-centric safety features and offering the industry’s best entertainment solutions was paramount in our Cross Trainer design. 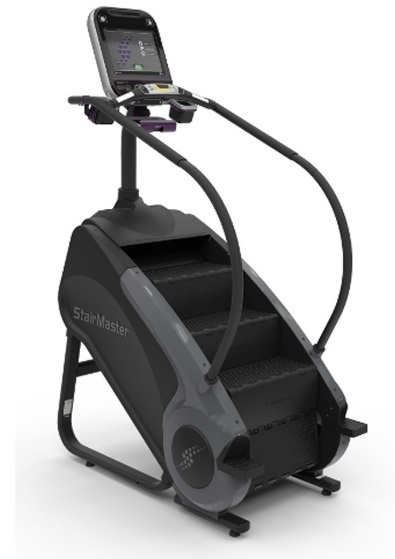 Since 1983, StairMaster® has been a legendary name in the gym, delivering a real workout and real results. 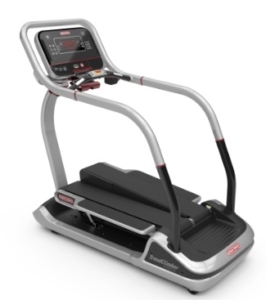 Now, with the StepMill™ 3, we’re bringing it all home. 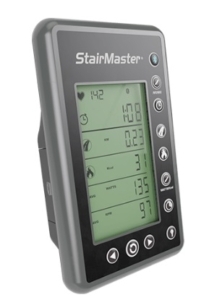 The StepMill 3 gives you a full cardiovascular and strength workout in one, and a compact, lightweight design makes it perfect for home gyms, apartments, medical offices and corporate fitness centers. It’s the tough, effective workout you’ve come to expect from the original name in climbing. 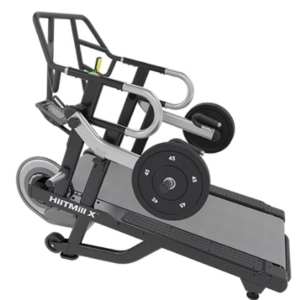 Two passionate fitness industry veterans, Dennis Lee and Tim Porth, pursued their entrepreneurial spirit and founded Octane Fitness in 2001, dedicated to making the best elliptical machines in the world. 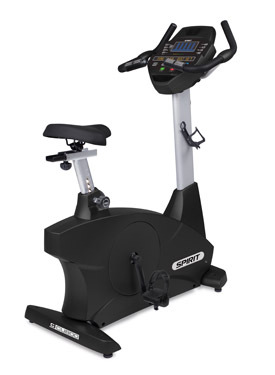 The company revolutionized the standing elliptical category, with multiple breakthroughs unavailable on any other machines, such as SmartStride, MultiGrip and Converging Path handlebars and Workout. 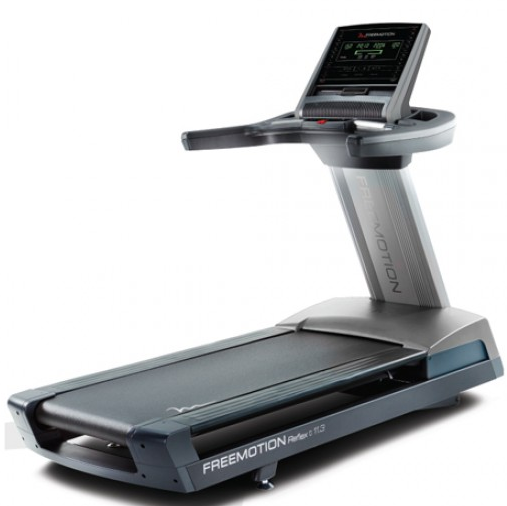 WE ARE FREEMOTION. 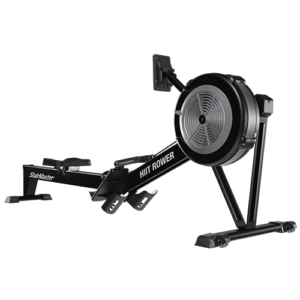 WE ARE BELIEVERS IN WHAT’S NEXT, WHAT’S POSSIBLE, AND WHAT’S WORTH EVERY DROP OF SWEAT. 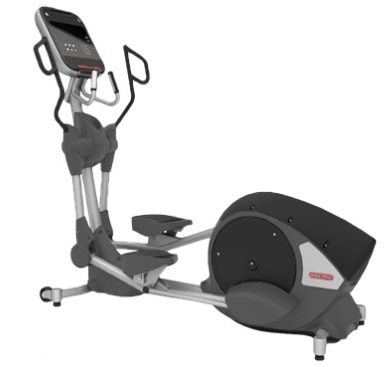 The Expresso HD Upright Bike is the coolest and most fun piece of cardio equipment ever imagined. 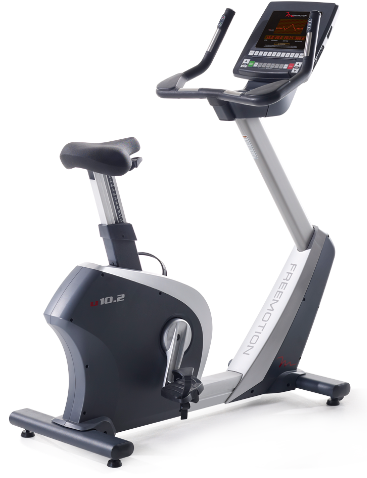 A powerful motivator for all fitness levels, Expresso HD keeps exercisers engaged, improving and loyal. Challenges bring the community together working towards a common goal. 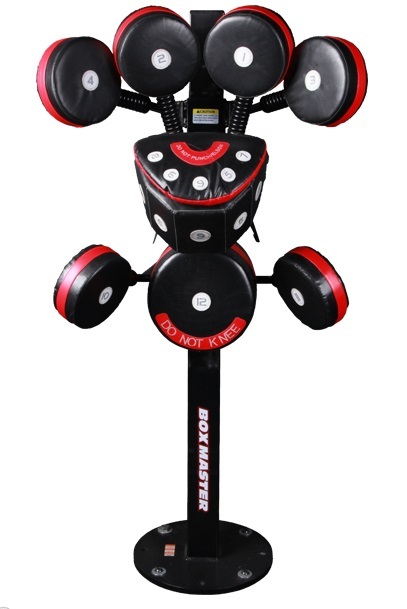 Not to mention it’s a killer showpiece for your home or fitness facility. 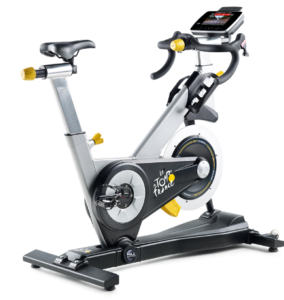 The Expresso HD Upright Bike is our most popular model and the gold-standard in interactive cycling. 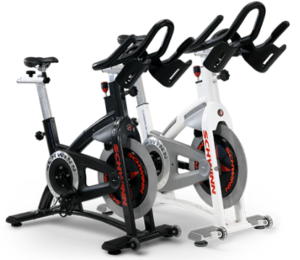 Provides online cycling classes, challenges, and games!